Hanuman Jayanti is a hindu festival celebrated on the occation of birth anniversary of the lord Hanuman. Each year, it is observed on the full moon day of the Chaitra month. 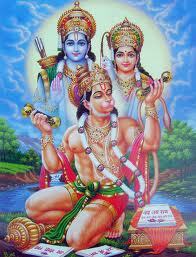 This year Hanuman jayanti is on Thursday, 25th April 2013. Chaitra Parva in Orissa is also falls on the same day. According to Hindu mythology, Hanuman is Vanara (Monkey God) and considered as the greatest bhakth of Lord Rama. In Andhra pradesh hanuman jayanti is celebrated in Krishna paksha Dashami in Vaishaka Month.